Before you can generate a quote, you need to know how much area you’re working with. While that typically entails measuring each potential client’s property by hand, some landscape contractors are using property measurement tools to calculate that information. These web-based programs use satellite imagery and point-and-click measuring tools to provide accurate measurements of virtually any property. The types of programs available include free online options and subscription-based services. Three contractors discuss the pros and cons of their chosen property measurement programs and how they use the tools to help streamline their businesses. 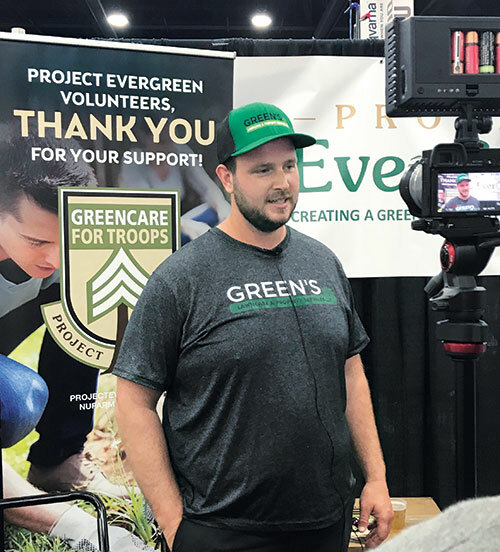 Hunt Davis, president of Canopy Lawn Care in Cary, N.C., founded his company last year as a tech enterprise with a mission to reimagine residential landscape maintenance. The company built most of its software programs, including its property measurement tool, which is integrated into the company’s overall selling process. After plugging in the client’s address, several satellites provide images of the property, which the software then measures. Using an algorithm, the software can determine how long it will take to perform each service based on the size of the property, and a flat hourly rate is applied to that figure to generate a quote. Davis says the whole process takes just a few minutes and has played an integral part in the company’s growth. Despite its capabilities, the property measurement tool isn’t effective in every instance and an in-person site visit is sometimes required, Davis says. Although the software pulls in imagery from multiple satellites, some views, particularly on heavily wooded properties, are better than others depending on the season. Sometimes satellite imagery on new developments hasn’t been updated yet, so all Davis sees is an empty lot. Significant renovations or large landscape installations that alter the property’s size and shape also may not be reflected in the satellite imagery. And some jobs, such as enhancements, pruning and hardscaping, simply make more sense to quote in person. One challenge to providing virtual quotes using property measurement tools is getting clients comfortable with the process, Davis says. Some customers aren’t used to interacting with service providers strictly electronically. He says contractors should manage the process thoughtfully so they can still build relationships with their customers while saving time and money with property measurement tools. Jon Stanton, owner of Dream Greener Lawn & Landscape in Bethel Park, Pa., began exploring property measurement tools in 2013 and started using Go iLawn in 2015 with the hope that it would help the company streamline the sales and service process and eliminate the need to physically measure each property with a hand wheel. Stanton says the program provides clear property images, is easy to use and allows him to save the images to the client’s file. Go iLawn charges a yearly subscription fee based on the number of property searches. Packages range from $150 for 25 searches to $3,000 for 5,000 searches. “Test the free programs available and evaluate the quality of their images first,” Stanton says. He uses his property measurement tool for maintenance and snow and ice management estimates, but he says the hills of western Pennsylvania can sometimes make it difficult to get a clear visual on rear lawn elevations. He continues to estimate design/build projects in person because his clients expect a face-to-face conversation about jobs of that nature. Matt Green, president of Green’s Lawncare & Property Services in Indianapolis, began using the property measurement tool FindLotSize.com this year to quote his aeration and overseeding services. Green decided to go this route after he determined that only 30 percent of his aeration and overseeding quotes resulted in jobs, so he saves time, money and vehicle wear and tear by not measuring all those properties by hand. He also notes that these annual services don’t require the precise measurements that are necessary to accurately quote routine maintenance jobs. Green still quotes all of his mowing jobs in person to ensure he’s getting the most accurate measurements possible. He says that the satellite imagery may not show obstacles such as a newly installed fence or exactly how many trees are on a hill, which would affect mowing time. While tools like FindLotSize.com are free to use, Green says the imagery isn’t as clear as he would like it to be. “A program like Go iLawn is a bit more expensive, but they take their pictures in the fall so there are no leaves on the trees and you can see the property borders a lot easier,” he says. Green suggests contractors upgrade to a higher-quality service that provides clearer images once they can justify the fee. He plans to upgrade once his company begins providing 100 or more aerations per year.